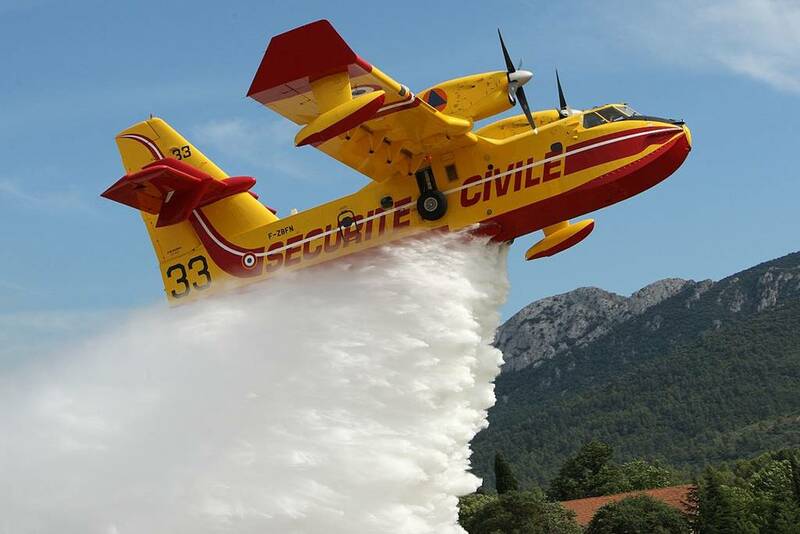 Canadair of French civil protection. On April 15, in the late afternoon, the Notre Dame Cathedral was hit by a serious fire that destroyed much of its structure. About 400 firefighters promptly intervened to extinguish the flames through a very complicated operation. Despite the rapid reaction of French rescuers, many users have accused them of inefficiency for not involving Canadair aircraft as suggested by U.S. presidents Donald Trump via Twitter. According to the Sécurité Civile (French Civil Protection), this choice was not possible for technical and safety reasons. The use of the Canadair to extinguish the flames in the city is a prohibitive choice: it could not guarantee the safety of the people and the structure of the cathedral. The large mass of water released by the aircraft, about 6 tons, could have injured people on the ground and further damaged the monument causing the total collapse of the roof as well as damaging surrounding buildings. The Canadair are usually used to appease flames in uninhabited places like the woods. "The use of aircraft such as the Canadair or helicopters to launch water on such structures would cause unpredictable weight overload. The risk is that the cathedral, already severely damaged by the fire, could collapse under the weight of water," said a spokesman for the Italian Fire Department. The choice made by the French firefighters proved to be successful, during the night between April 15 and 16, they tamed the flames and saved a good part of Notre Dame avoiding its total collapse.